Customised expert advice, documentation and solutions across employment relations and health and safety, packaged for small and medium businesses. We review your workplace processes and documents to identify specific gaps and solutions for non-compliance. Based on this, we provide you with the best practice tools, to lay the foundations for ensuring a fair and safe workplace. You receive unlimited, proactive and professional advice on employment relations and workplace health and safety whenever you need it, night or day. If you are faced with a claim, our in-house specialists will advise you every step of the way and if required, our legal partner, will provide professional representation. We can protect you from the financial risks associated with Employment Relations Authority disputes and work health and safety claims. With Employsure Protect, you can rest assured that you are covered. Managing your employees can be challenging. Join us at the free training seminar and walk away with the necessary tools to manage your employees with confidence and focus on the things that matter. This event is designed for business owners and employers. Our collection of free guides are available to all employers, and focus on common employee management and work health and safety matters you may face in your business. Annual Leave and Other Leave. Employment Relations in New Zealand. Workplaces that Work will be sent to your inbox monthly with workplace news and information for New Zealand's SMEs. Featuring news, updates, checklists and the popular ‘Ask our specialist’, to keep you up-to-date on all things workplace relations and health and safety at work. With Easter and ANZAC Day fast approaching, know your Public Holiday rights and responsibilities. Learn how to manage bullying in the workplace and create a safe and fair workplace. FY 18/19 Small business trends. 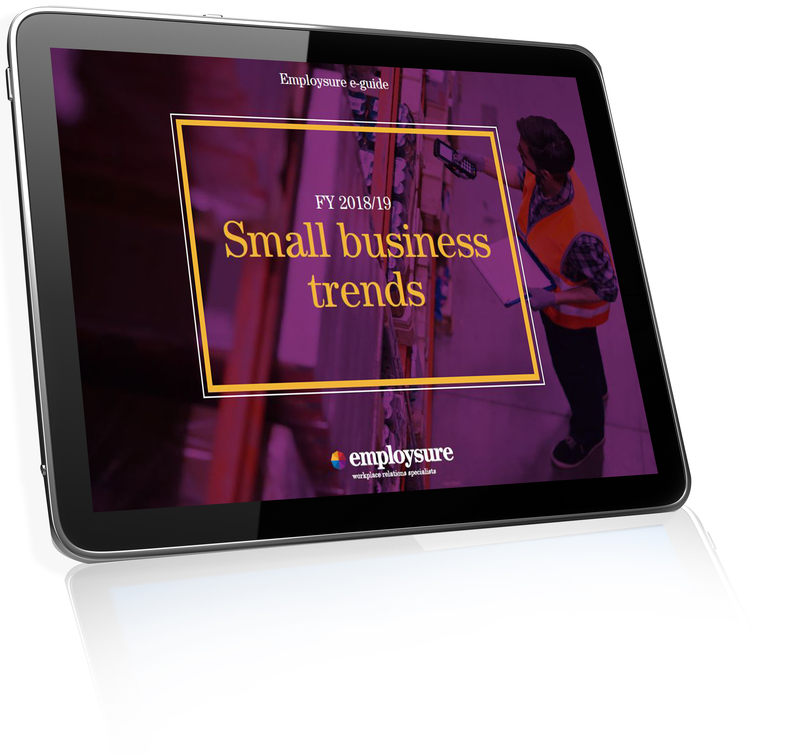 Learn about the key trends set to impact small businesses this financial year and how to apply these to your organisation. Learn tips and strategies for managing employee poor performance in your business. Learn about how to manage workplace disputes with our e-guide, including a step by step guide to the ERA. 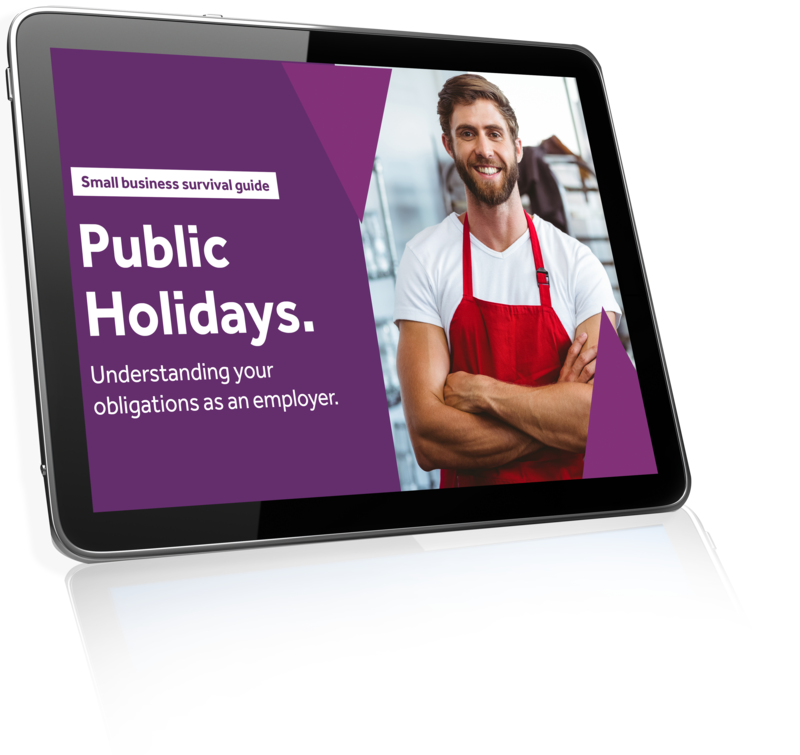 Download our e-guide to get informed on holiday and leave obligations, plus public holiday entitlements. Start building a better workplace today with Employsure. Call us today on 0800 675 700, or complete the form below to learn more about our services. One of our workplace specialists will be in touch shortly. Call us today on 0800 675 700, or complete the form below, to receive an obligation free quote for unlimited workplace advice and resources.